For the last three weeks, a small group of individuals with a variety of expertise have been meeting twice or more weekly to participate in an experimental project with artist-in-residence, Haegue Yang. Entitled Shared Discovery of What We Have and Know Already Yang’s project involves a series of seminar workshops that investigate critical themes and ideas in her work, such as abstraction, community, and subjectivity. Yang’s project began with a proposal to “domesticize” the institution by taking up residency as an apprentice in the institution, creating a new twist in the artist-in-residency model, which, in the artists’ words, “normally implies an artist visiting to provide the institution with something-commissioned work, a particular outcome to a particular community.” Instead, the artist asked what she might gain from the Walker, a place she first encountered when her work was included in the exhibition, Brave New Worlds (2007). To this end, she asked the Walker to mobilize a group of “expert participants” to join an open-ended skill-share and knowledge exchange. 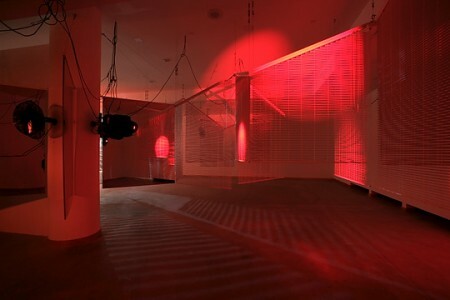 Specifically, the seminar series addresses the relationship between Yang’s abstract forms and the influence of such topics as the history of transnational wartime resistance, the biographies of historical figures such as Marguerite Duras, Kim San and Nym Wales, the cinematic and literary work of Duras, the history of abstraction, as well as the plastic arts of carpentry, knitting and origami. Bringing together historians, theater professionals, designers, film curators, artists, French language scholars, art historians, philosophers and museum workers, the group has embarked on a unique journey of “shared discovery.” In each session, participants in the group give presentations and lead discussions from their bases of knowledge, slowly building a long-form conversation. Themes and connections between them have emerged in ways we couldn’t have predicted at the outset of the project. An attempt to chronicle these findings can be found on the Artist-in-Residence website, where more details about the sessions and participants are also listed. Yang’s solo exhibition, Integrity of the Insider, is currently on view in the Medtronic Gallery.